It's always time for pi! to show the time and date. Not in the mood for pi? Try a different (à la) mode.  Scientific types may take a natural interest in Euler's Number, e, while artists and architects might have a disproportionate affinity for the Golden Ratio, phi. Hipsters can even double their pi-leasure and take a trendy turn with tau. 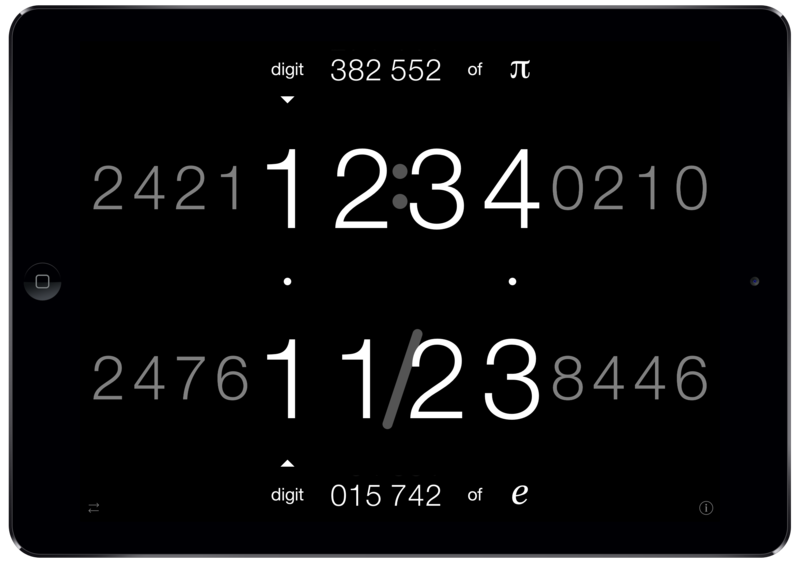 No matter in which of these you irrationally place value, piClock covers the bases. 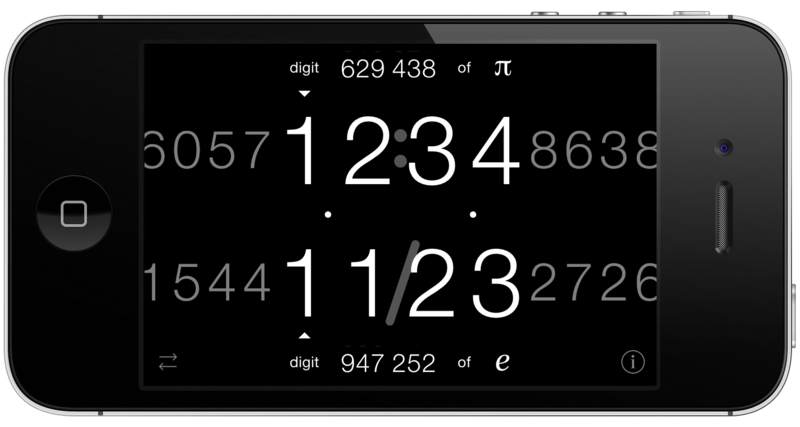 A piece of pi for everyone! while you're commuting, associating, or even distributing.